National Chairman of the All Progressives Congress, APC, Adams Oshiomhole has described former President Goodluck Jonathan as a ‘zoologist from the swamps of Otueke who ran a disastrous presidency’. Ebebulem wrote the article in response to comments made by the former President while responding to allegations by Oshiomhole on Channels Television programme, Roadmap, that vote-buying gained prominence under the Jonathan administration. However, Ebegbulem in response described Jonathan’s attack on Oshiomhole’s psychology as a new low. He said “If the allegation that the APC national chairman is having psychological issues with the even more specific reference to “multiple personality syndrome,” came from a doctor of human medicine with specialisation in psychology, it could debatably enjoy some merit. “But Jonathan is a zoologist from the swamps of Otuoke. This is clearly veering from his turf and unworthy of further debate. “Probably still retaining some remnant of conscience after a disastrous presidency, he was stung when APC national chairman recently correctly accused him specifically and his party of birthing vote-buying and encouraging electoral fraud in Nigeria. 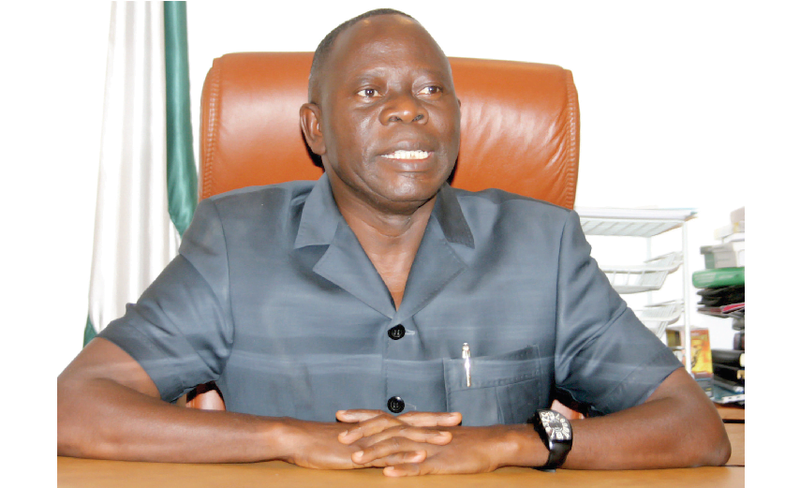 “After unseemly name-calling, the former President without even addressing the core points raised by Oshiomhole felt the easier path was to counter-accuse the APC leader with exactly the same damning allegation. “The former President invented vote-buying as was witnessed in 2015, in Edo State when he injected billions of naira as well as other states of the nation desperately buying votes to ensure he got a futile second chance as President.